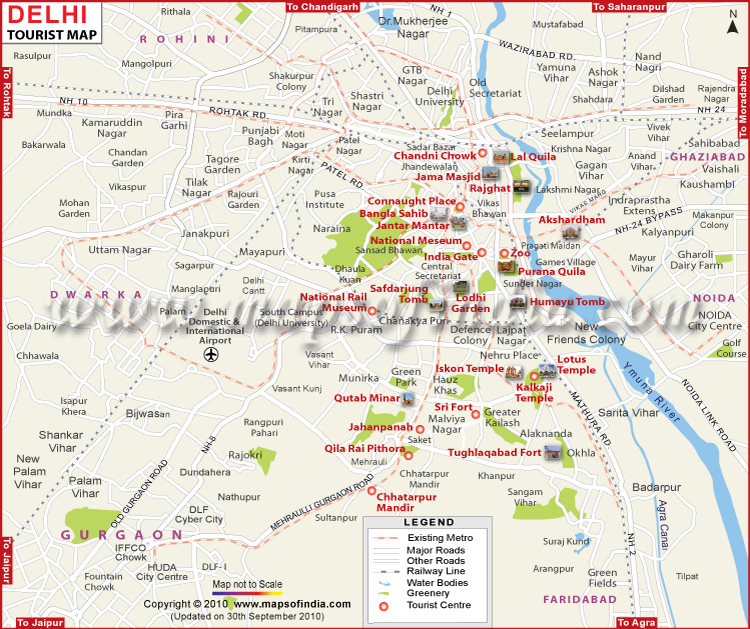 Road Map: I just followed Delhi Tourist Map. Please refer this. I transported my bike to Noida from Bangalore for short assignment, So I have to use my week end to explore nearby places. 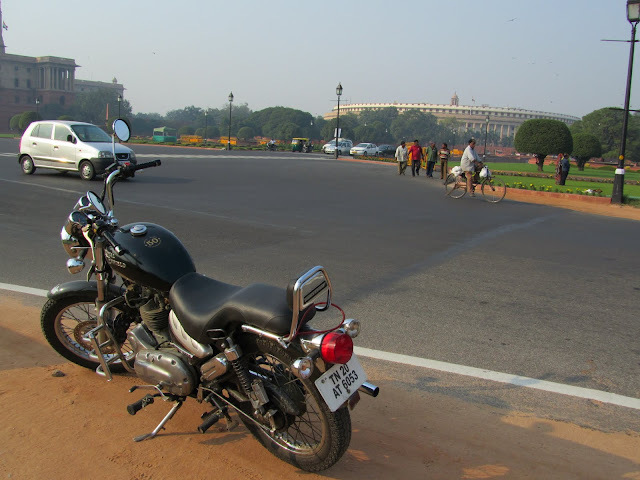 Today I took my bike plan for ride Delhi to see some of the famous tourist place. 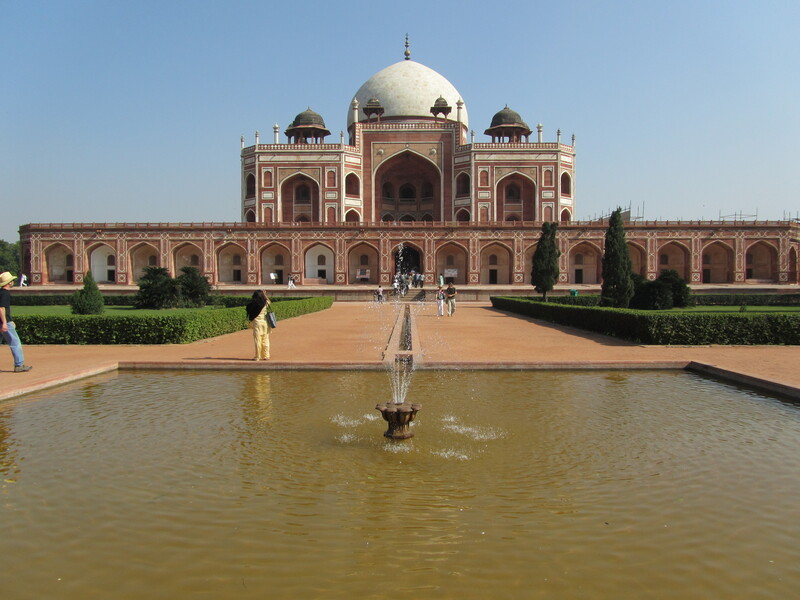 Yes off course Delhi having lot of Heritage places and famous market to visit. Even we have three UNESCO World Heritage place (Humayun’s Tomb, Qutb Minar and its Monuments, Red Fort Complex) in Delhi & must see. 09.30 AM: I reached Akshardham temple. This place highly organized well and maintained very clean. Camera, bags, etc nothing allowed inside the temple and keep it outside in locker . We have to gothrough security check to reach temple & its look like Airport security check !! Its very beautiful architecture in the modern world. Must see this place one time. After coming out I realized there is lot of tourist and students coming to this place & heavily crowded. 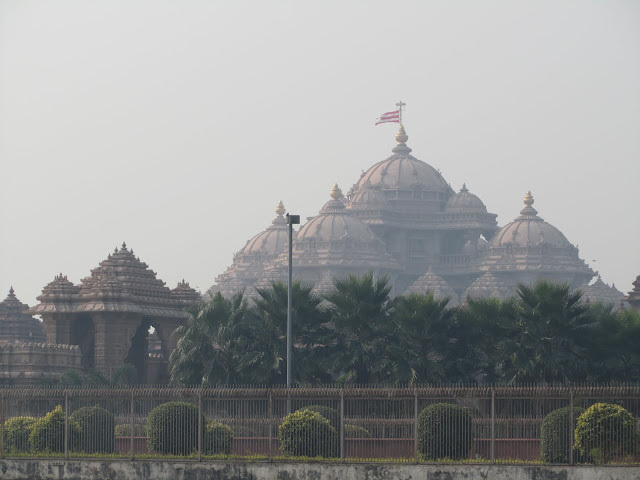 AKSHARDHAM: Akshardham is a Hindu temple complex in Delhi, India. Also referred to as Delhi Akshardham or Swaminarayan Akshardham, the complex displays centuries of traditional Indian and Hindu culture, spirituality, and architecture. The building was inspired and moderated by Pramukh Swami Maharaj, the spiritual head of the Bochasanwasi Shri Akshar Purushottam Swaminarayan Sanstha. The temple, which attracts approximately 70 percent of all tourists who visit Delhi, was officially opened on 6 November 2005. 11.00 AM: I reached RajGhat, its next and near to Akshardham temple. 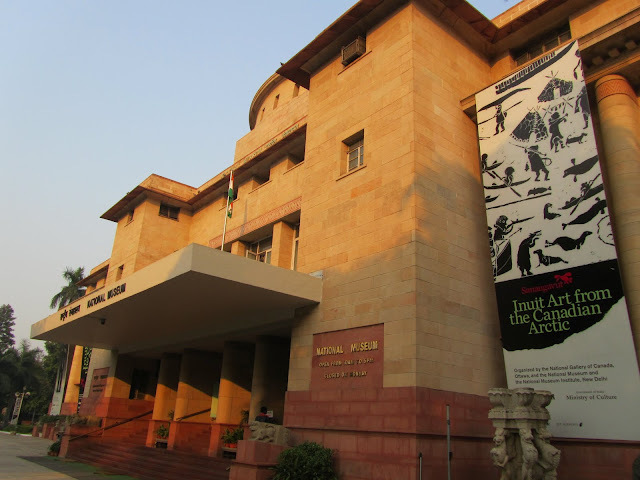 Its one of the important place in delhi, which you can see more world leaders visited. It’s very simple and silent place. Raj Ghat is a memorial to Mahatma Gandhi. 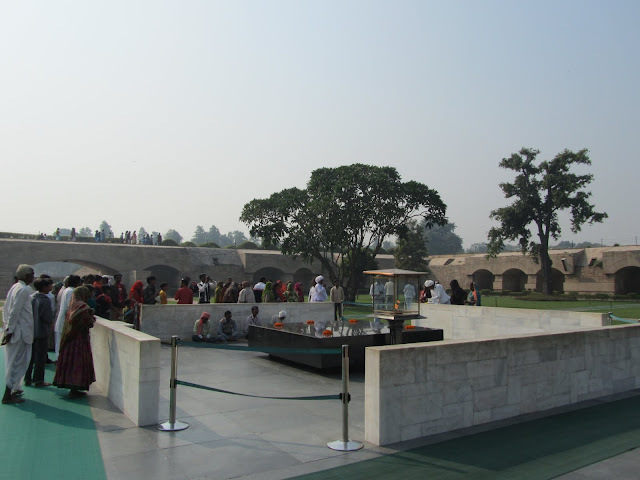 It is a black marble platform that marks the spot of Gandhi’s cremation on 31 January 1948. It is left open to the sky while an eternal flame burns perpetually at one end. It is located on the banks of the river Yamuna in Delhi in India on Ring Road officially known as Mahatma Gandhi Road. A stone footpath flanked by lawns leads to the walled enclosure that houses the memorial. 12.00 PM: I reached Jama Masjid. Its looks great when you see this from main road, but its very badly maintained near places and street. I don’t know why this beautiful tourist place maintained very ugly. We have to purchase ticket to claim on Jama Masjid tower, you can go to top of the tower and get very good view of delhi and redfort. Don’t miss it tower watch. 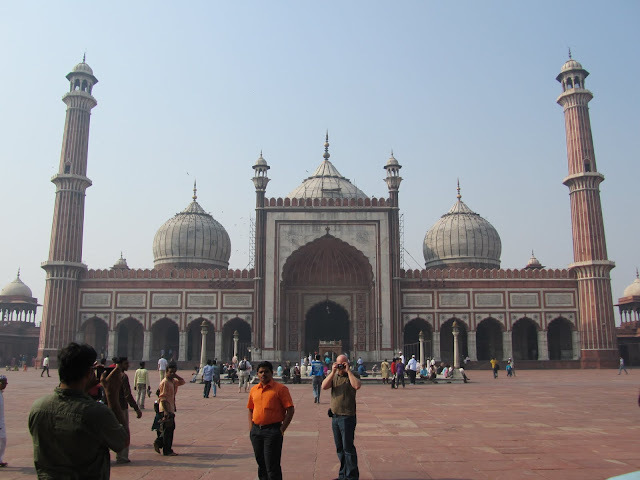 Jama Masjid: Built during the reign of the Mughal Emperor Shah Jahan, one of the largest mosques in India, the Jama Masjid’s large courtyard, onion domes and central tank are built of red sandstone and white marble in the Indo-Islamic style. 01.00 PM: Redfort exactly opposite to Jama Masjid. Its just walkable. Other wise you can first visit to RedFort and park your vehicle in RedFort parking area. After you can visit to Jama Masjid, any way its walkable. 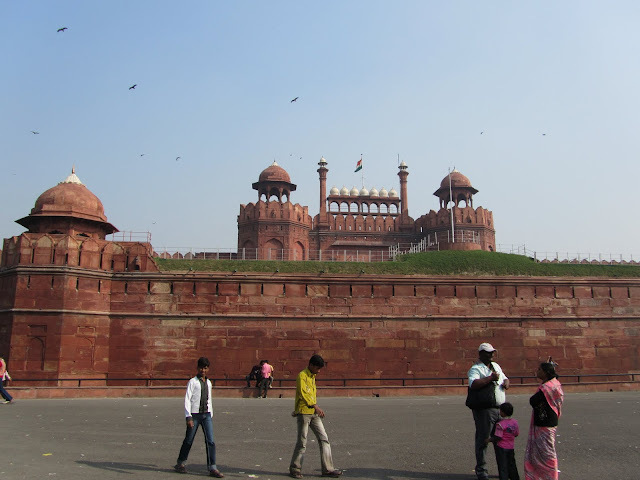 Red Fort: This grand fort built during the Mughal emperor Shah Jahan’s reign, this majestic building made of red sandstone is the location from where the Prime Minister of India addresses the nation every Independence Day. The Diwan-e-khas, and Diwan-e-am, the weaponry museum and the sound and light show are all worth seeing at the Red Fort. 02.00 PM: I reached India Gate, This place was filled by tourist and students. Its look like some festival season. WE will have very good Rashtrapati Bhawan view from this place. After I went to near Rashtrapati Bhawan. This stretch called the Rajpath is where the Republic Day parade is held. 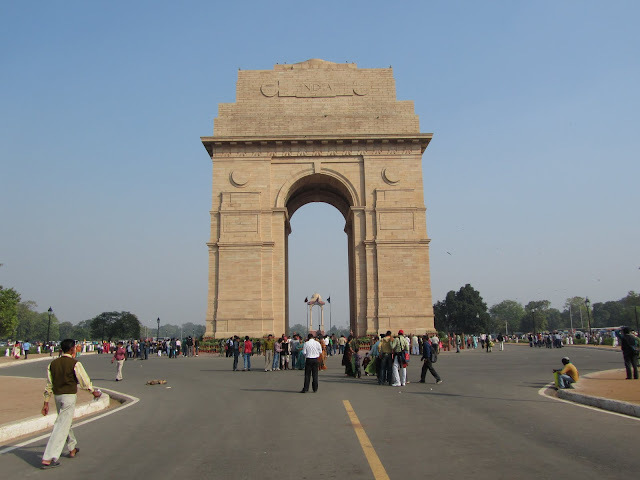 India Gate: Situated on Rajpath, in the center of Delhi, this 42-meter high arch, was designed by Edwin Lutyens, in memory of the Indian soldiers who sacrificed their lives during the first World War. Their names can be seen inscribed on the arch. The Amar Jawan Jyoti, an eternal flame, burns in memory of the unknown soldier, beneath the shelter of the arch, which is surrounded by green lawns, fountains and water bodies – an evergreen picnic zone in the heart of central Delhi. Rashtrapati Bhawan: The president’s mansion is situated on Raisina Hill in the center of Delhi, overlooking the green lawns around India Gate. This elegant building, is truly worth seeing, for its architectural beauty and historic significance. The beautiful Mughal Gardens of Rashtrapati Bhawan, which are open to the public in spring, are an added attraction. 03.30 PM: Next I went to National Meseum and spend some time. Its very near to India Gate. 06.00 PM: I reached home at Noida, Sec 55. Day went well !! Still I have to see three more(Lotus Temple is a Bahá’í House of Worship, Humayun’s Tomb, Qutub Minar) important places at Delhi. Let see one more day. nice narration luve the pic of bull in front of rashtrapati bhavan . Just Ride ……….